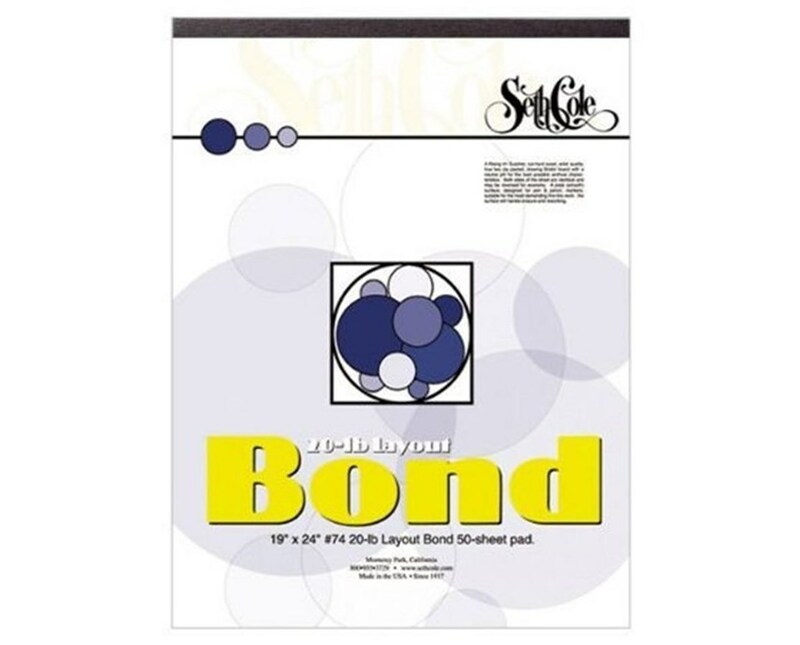 The Seth Cole Layout Bond Paper Pad (Qty.50) is a multi-purpose and versatile paper medium. Ideal for preliminary sketches, it features a smooth, opaque surface that works well with pencil, pen, or felt-tip marker. 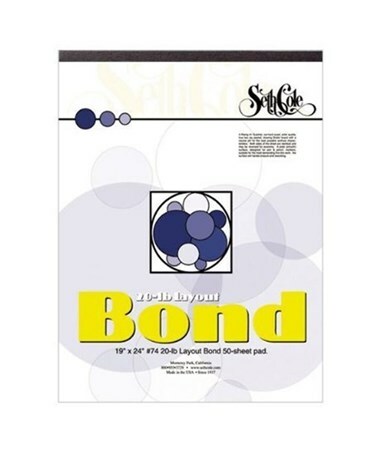 This acid-free layout bond paper is reliable and archive quality. It is an economical pad containing 50 sheets of all-sulphite paper. The Seth Cole Layout Bond Paper Pad (Qty.50) comes in three different sizes to provide solutions to most drawing and sketching needs. It weighs 20 pounds and is compatible with inkjet, laser, and xerographic. This functionality makes this paper pad a perfect tool for a variety of drawing and drafting applications. The Seth Cole Layout Bond Paper Pad (Qty.50) comes in three different sizes. Please select your preference from the drop-down menu above.